Modern universities often attract students from far locations. Many campuses are faced with the problem of accommodating these students. Often building sites nearby are costly and appropriate housing is already difficult to find for the local population, let alone for the students. 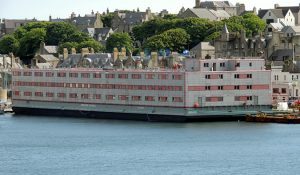 Chevalier Floatels offers several accommodation barges ideally suited to accommodate students. They are already equipped with large rooms, recreation rooms laundries etc. 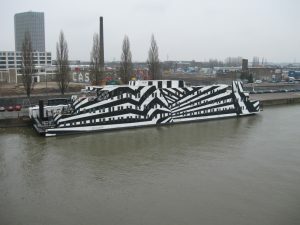 The barges could easily be made custom fit for student housing. 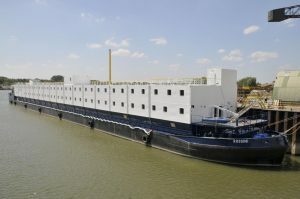 As the barges can be towed to location near universities the barges could be operational within a very short time. Ensuring students could enroll on their new semester with housing taking care off. Kalmar, a 220 room facility suited for up to 440 students. Rossini, a 110 room facility suited for up to 220 students and especially build for extreme environments with an operational weather range from -36 degrees to + 40 degrees.